Being able to store food for long stretches of time is one of the many perks of living in such a technologically advanced age. It allows people the option to buy large quantities at discount prices, with the added benefit of always having food on hand no matter what. That being said, improper food storage can lead to a nasty little effect called freezer burn. 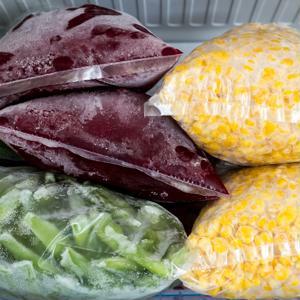 And while most people have probably run into freezer burn at one point or another, many simply do not know what it is or how to prevent it. To be an efficient consumer of food, it's important to know what this little food waster actually is and what causes it. Freezer burn occurs when the moisture in a piece of food evaporates into the cold air of the freezer. This act leaves dry, lightly colored patches on the food that look very unappealing to the eye. Although this food is perfectly safe to eat, the freezer-burned pieces will very likely be tasteless and very dry. Many people throw this food out due to its tasteless nature, and as such this list of proper food storage procedures has been compiled to avoid this wasteful habit. Don't blame the freezer: Many people who don't know what freezer burn is are quick to blame the temperature at which they keep their freezer. As such, many people turn up their freezer's temperature after encountering a freezer-burned piece of food. Not only does temperature monitoring have nothing to do with freezer burn, turning up the temperature of a freezer can be extremely dangerous. The FDA advises people to always keep their freezer temperature monitor at 0 degrees Fahrenheit. Those who want extra security in their temperature monitoring needs should visit ITWatchDog's products page. Wrap the food correctly: When preparing food to be stored in the freezer, it's vital to wrap the product into an air-tight container. This can be done with foil, plastic wrap or even with a plastic zip-lock bag. Basically, the important thing to remember here is that the food can't have any areas exposed to the air in the freezer. This is the cause of freezer burn and it's what needs to be avoided at all costs. Remove excess air from the finished product: This tip is mostly for those who choose to use a zip-lock bag for their freezer storage needs. As with the tip above, the key to good freezer storage is the elimination of air contact with the food. A zip-lock bag may be protecting the food from the other air in the freezer, but if there's air in the bag the entire process was all for naught. Always be on the lookout for broken wrapping: A lot of jostling and moving around occurs in a freezer between a food's entrance and exit from cold storage. In that time, there is a possibility that a foods wrapping could become damaged. If this happens, simply take the item out of the freezer, re-wrap the food and put it back. As long as the freezer temperature monitor stays at 0 degrees, the food should have a very long life in cold storage.